The High Country of North Carolina is one of the most popular destinations for lovers of “all things Autumn”. Our close proximity to Charlotte, Raleigh and most major cities in Georgia, Florida, South Carolina, North Carolina and Tennessee make it a perfect “dacation” or weekend excursion to check out the fall colors. The roadways and hiking trails come “alive” with what locals and residents call “leaf gawkers” who love the patchwork of awe inspiring colors as much as those of us who are blessed to call Boone “home”. This time of year there are numerous Boone NC fall events and things to do, such as attending one of the many corn mazes and pumpkin patches or taking an autumn hayride, visiting a local winery or visiting for any number of fall festivals such as the Woolly Worm Festival in Banner Elk, the Valle Fair in Valle Crucis or the Leaf Lookers hayrides on Beech Mountain. Great music, crafts and delicious NC Grown Apples! Sugar’s Oktoberfest is a MUST ATTEND! 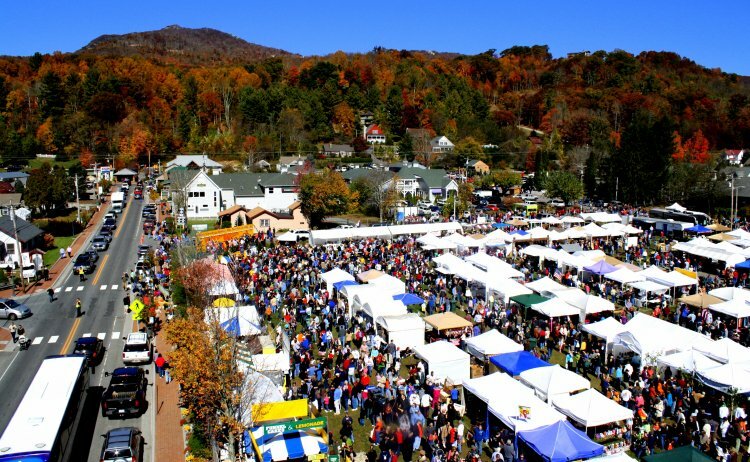 The Valle Country Fair in Valle Crucis takes place the same weekend, October 21st. The annual Valle Country Fair is a sure favorite among locals and visitors. Overflowing with food, crafts, music, and family fun, the Fair offers an all-day immersion into all things “fall.” Watch fresh cider being pressed from local apples. Carve a pumpkin, try some brunswick stew, and browse the artisan tents. Tap your toes to some great music, watch traditional dancing, and hear classic tales spun by a master storyteller. Perhaps the best part: the festival usually coincides with peak color for the Valle Crucis area. Vendors donate at least 10 percent of their profits from the day to charity, and the festival is a force for good in the High Country. Admission is free, and parking costs $10 per car, $25 for a small bus or van and $50 for a motorcoach. For more information, contact Holy Cross Church at (828) 963-4609 or visit www.vallecountryfair.org. The Lovill House Inn offers THE best accommodations in Boone, North Carolina. We offer a historic Bed and Breakfast Inn conveniently located on eleven wooded acres, less than one mile from Old Town Boone NC and Appalachian State University, just off the Blue Ridge Parkway, secluded on 11 wooded acres. The Inn is renowned for its award winning hospitality, great location, exceptional grounds, and elegant lodging accommodations in a relaxed and unforgettable setting. Perfect for that romantic getaway, business convenience to Boone and ASU, or a leisurely vacation to the Boone and Blowing Rock North Carolina, in the heart of the Blue Ridge Mountains of Western North Carolina.